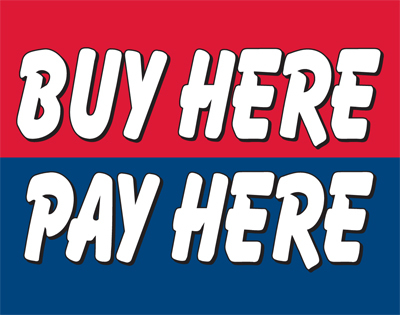 Our Buy Her Pay Here Car Flags are split into two, with an upper red field emblazoned with bold white text that reads "Buy Here" and a lower blue field with the words "Pay Here" printed in bold white letters. 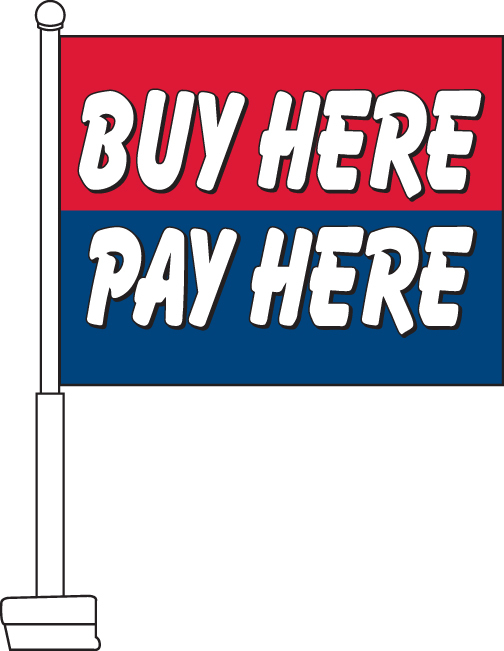 This striking flag is ideal for new and used car dealerships to promote that that financing is offered on-site. It is perfect for decorating cars on the property and will make them stand out, while also making the dealership as a whole more attractive. 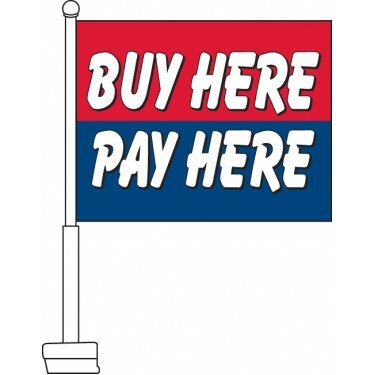 If you are looking for a striking flag to promote your dealership's ease of payment, then this is the ideal choice.